A documentary on the life and entire artistic production of Giotto (1267-1337), considered the greatest of all the Italian Gothic painters. 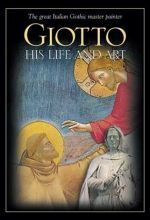 The innovations and originality that Giotto brought to the art world have influenced all artists since. His life and art are presented here -- from Assisi to Rome, Rimini to Padova and, of course, in his own Florence.